Located on the second floor of the Quarry Arts building in Madison, Integration Bodywork offers a unique, whole body approach to reduce pain and improve performance. Whether you’re a high school athlete struggling with an overuse injury, an adult with chronic low-back pain, or a senior citizen who wants to chase the grandkids and ride your motorcycle, Integration Bodywork can help you achieve your goals. From injury recovery to therapeutic bodywork, Integration Bodywork can help you get back to the life you love-Book today! Ray Eady, LMT # 14621, graduated from East West Healing Arts Institute in Madison, WI with a specialization in TuiNa. Ray has more than 15 years’ experience as a Division I collegiate strength and conditioning coach. He has worked at University of Wisconsin-Madison, University of Akron, Northeastern University, and Holy Cross. 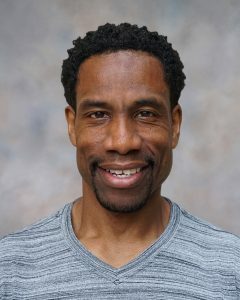 He has lectured in the Kinesiology/Exercise Science department at the UW-Madison. 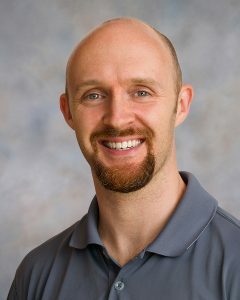 He has a master’s degree in sports exercise physiology and adult fitness from the University of Akron and is a Certified Strength and Conditioning Specialist with the National Strength and Conditioning Association. He holds certifications with the National Academy of Sports Medicine and the United States Weightlifting Association. Scott Robison, LMT #12892-146, practices structural bodywork in Madison, WI. Scott studied massage and bodywork in Portland, OR, and earned a BS in Physics from Dickinson College. A life-long athlete, Scott ran cross country and track in college, spent a decade rock climbing all over the US, and has been a CrossFit Level 1 Trainer since 2010. He is trained in the Selective Functional Movement Assessment and the Functional Movement Screen. Scott blends his expertise in movement with a manual therapy style focused on restoring alignment and quality of movement.